Many notable works of fiction are set in London, the capital city of England, and the United Kingdom. George Moore — this Anglo-Irishman's novel Esther Waters (1894) is set mainly in London. 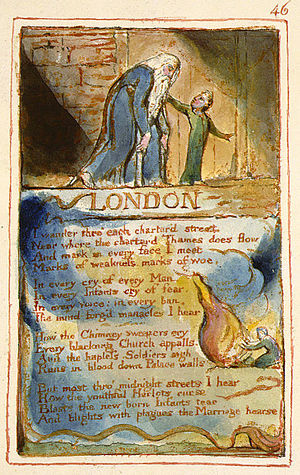 Several nursery rhymes mention places in London. London Bridge is mentioned in London Bridge is falling down. Oranges and Lemons mentions several London Churches. Pop Goes the Weasel one version refers to the Eagle pub on the City Road. This page was last edited on 12 December 2018, at 14:45 (UTC).